The following story was posted by the Facebook page Creepy? or Not? in late March, 2015. There is a serial killer in Gary, Indiana that is finally off the streets. But not before he could murder 11 people, hang their bodies on the walls and open his insanity to the public as a “Haunted House” attraction. The serial killer in custody is 34 year old Donald Vann, and police have been looking for him since 2005. According to police, 25 bodies had been found between 2005 – 2012 – all of the murders with one thing in common. All of the victims showed wounds with ‘crucifixion’ style markings in the hands and feet. They knew they had a serial killer on their hands. However, according to police, the killer seemed to have vanished. No bodies had been found for 2 years…. Until now. Gary, Indiana is known for their surplus of abandoned homes, 10,000 to be exact. Most of them too run down to give away. Vann decided to find an abandoned home to occupy and make his own. Vann said he had planned the ‘Haunted House’ for the last 8 months. Prepping the bodies for display. He opened the home on October 18 and police were called immediately by terrified attendees. Another eyewitness said that Vann just sat there in a chair at the door entrance while people ran out. The police department reported receiving over 50 911 calls reporting the incident. Police showed up within minutes, and arrested Vann. The District Attorney’s office is hoping to charge Vann with the 11 murders in the home, as well as the 25 murders that occurred since 2005. According to police, he has already confessed to 17 out of those first 25." Sounds completely and utterly horrifying, right? But...is it a TRUE story? What makes this tale interesting is that it IS based on a grain of truth. Research into the case reveals that Darren Deon Vann IS a real person from Gary, Indiana. 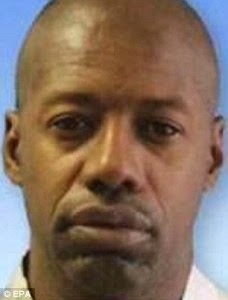 And, while he never turned any abandoned home into a haunted house attraction starring his victims, Vann is reported to have murdered at least seven women and hid their bodies in different abandoned properties in and around Gary, Indiana. So where does this fictionalized account of events come from? On October 23, 2014 the article above appeared on the BoomViral website. BoomViral is an internet satire site, which explicitly states in its disclaimer that its stories are often completely fictional, or are fictionalized accounts based on true events. This story falls into the latter category. It capitalized off an already sensational news story and turned it into a Halloween-themed read, just in time for the holiday. The photo that was being used to illustrate this story comes from the iStock Getty Images webpage, and was uploaded by user 'andydidyk.' 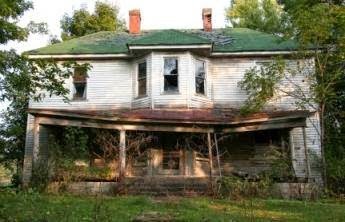 Over 40 tags were attached to this photo and others of the same building, including Kentucky, Indiana, AND Ohio, making exactly where this photo was taken difficult to ascertain, but it does NOT appear to be one of the homes where Vann's victims were found or where police were searching. However, according to a member of the West Virginia Paranormal Group Facebook page, the home in question does have some history to it. It is believed to be located somewhere in Ohio and is allegedly haunted. Loud noises and voices are said to be heard coming from the home, and some believe a ghostly figure can be seen in one of the windows.